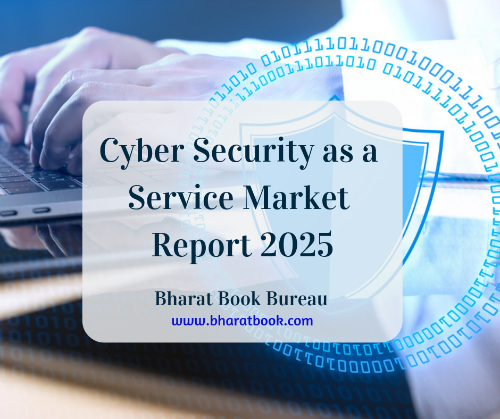 Bharat Book Bureau Provides the Trending Market Research Report on “****** Cyber Security as a Service Market Size study, by Security Type (Enterprise Security, Endpoint Security, Cloud Security, Network Security, Application Security), by Service Type (Threat Intelligent & Behavior Analysis, Auditing & Logging, Monitoring & Altering), by End-User (IT & Telecom, Retail, BFSI, Healthcare, Defense, Automotive, Others) and Regional Forecasts 2018-2025”under IT Services Category. The report offers a collection of superior market research, market analysis, competitive intelligence and Market reports. ****** Cyber Security as a Service Market to reach USD 92.3 billion by 2025. ****** Cyber Security as a Service Market valued approximately USD 28.9 billion in 2017 is anticipated to grow with a healthy growth rate of more than 12.7% over the forecast period 2018-2025. The ****** cyber security as a service is rapidly growing at a significant pace. The major driving factor of ****** Cyber Security as a Service market are high demand for auditing & logging security services and booming content industry. The major restraining factor of ****** cyber security as a service are lack availability of infrastructure. Cyber security as service refers to preventive techniques utilized to protect and safeguard an organization information & system from cyber warfare espionage and terrorism. It is a critical part of the security strategies adopted by various governments as cyberattacks are mostly aimed at military, political and infrastructural assets. The regional analysis of ****** Cyber Security as a Service Market is considered for the key regions such as Asia Pacific, North America, Europe, Latin America and Rest of the World. North America is the leading/significant region across the world in terms of market share owing to high level of digitalization and rising number of connected devices. Europe also contributes a satisfactory growth in the ****** cyber security as a service market. Asia Pacific also anticipated to exhibit higher growth rate / CAGR over the forecast period 2018-2025 due to rising number of startups and government initiatives and regulations concerning cyber as a service market.